Prof Yonghua Song, a world-renowned scholar in electrical engineering, today (9 January) assumed office as the rector of the University of Macau (UM). He expressed his hope to familiarise himself with the new job as soon as possible, increase interactions with the local community, and carry out more innovations. On his first day as UM’s rector, Prof Song met with members of the management team of the university to learn more about the university’s operation. In his email to UM’s faculty and staff members, students, and alumni, he expressed hope to meet with more members of the university in the next few months and to increase communication and interactions with the local community in order to hear their expectations for UM’s future development. ‘With the solid foundation laid for the university, we will continue to do our job well through collective efforts and we look forward to more innovation, new opportunities and greater accomplishments,’ he said. Prof Song has held various leadership positions at British and Chinese universities. He has rich experience in higher education management at a senior level and in promoting the internationalisation of universities and institutional cooperation. He is particularly familiar with the development and operational models of higher education institutions in Europe, the United States, and Asia. From 1991 to 1996, Prof Song held various teaching and research positions at universities in the United Kingdom. In 1997, he was appointed a professor of power systems at Brunel University, and later in 2004, as pro-vice-chancellor for graduate studies at the university. The latter appointment made him the first Chinese scholar to assume a senior management position at a British university. In the same year, he was elected fellow of the Royal Academy of Engineering. In 2007, he became the pro-vice chancellor and a professor of electrical engineering at the University of Liverpool, holding concurrently the position of executive president at Xi’an Jiaotong – Liverpool University in Suzhou, China. In 2009, Prof Song was invited to return to China to serve as a professor of electrical engineering at Tsinghua University. He was appointed assistant president of Tsinghua University in the same year. 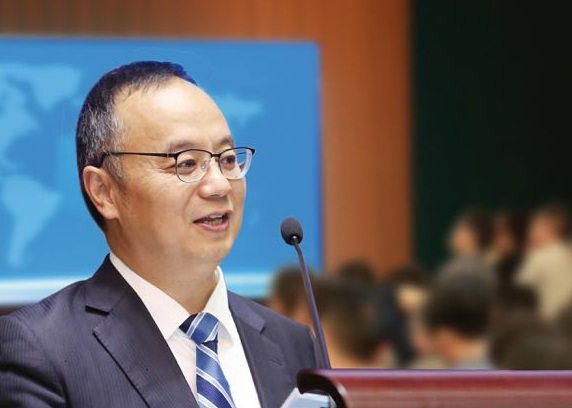 In November 2012, he became the executive vice president of Zhejiang University, the founding dean of the International Campus, and a professor of electrical engineering and higher education of Zhejiang University. His main duties included development planning, internationalisation of the university, and recruitment of talented people. Prof Song has long been engaged in electrical power system research. His research, in such areas as energy, information, and control engineering, has enhanced the development of the electric power industry. Because of his outstanding scientific achievements and professional stature, he has been an appointed advisor to the Science and Technology Committee of the Macao SAR Government since 2002.